iMessage is one of the most popular native iOS apps. Its popularity stems from the fact that it is an almost quintessential messaging app. Users can send texts, photos, videos, and sketches among other important functionalities. 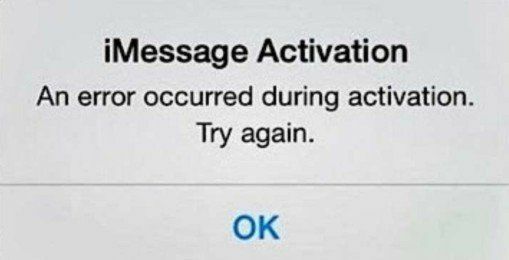 Some users have, however, raised an issue with it: iMessage not delivered on iPhone. This article addresses this issue by detailing seven methods of fixing the issue. 3. Enable "Send as SMS"
The first place to check is Apple's System Status page to make sure iMessage isn't down. The System Status page on Apple informs users of any services that aren't working for reasons such as planned maintenance, updates, etc. iMessage only works when your iPhone is connected to the internet either using cellular data or a Wi-Fi connection. To ensure both are turned on, follow the procedure below. Step 1: Launch the Settings app and tap Cellular. Step 2: Toggle on the Cellular Data button on. Step 1: Go to Settings > Wi-Fi. Step 2: Turn on Wi-Fi, select a secure Wi=Fi network and enter the password. Ensure you have set-up iMessage correctly by enabling "Send as SMS". This way iMessage messages will be sent as regular text messages when iMessage doesn't work. Follow the procedure below. Step 1: Go to Settings > Messages. Step 2: Toggle on the Send as SMS button. 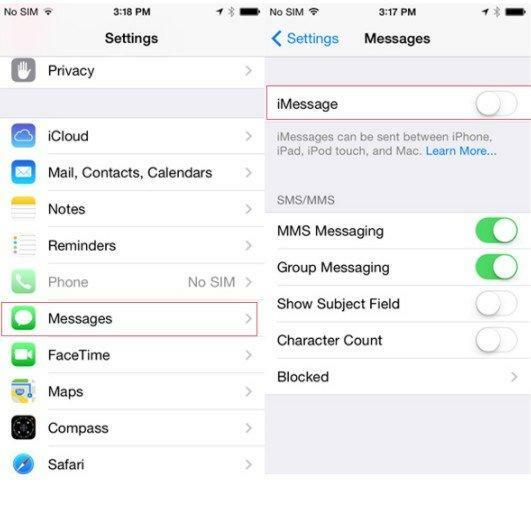 To turn iMessage off then on, follow the procedure below. Step 1: Go to Settings and tap Messages. Step 2: Toggle the iMessage button off then on. iMessage will not work if there are issues with your network settings. Considering that we have already checked the cellular data and Wi-Fi connectivity settings, the only plausible thing to do is to reset the network settings back to default. Follow the procedure below. Step 1: Launch the Settings app and tap General. Step 2: Tap Reset > Reset Network Settings. Force restarting your iPhone X/ 8/ 8 Plus/ 7/7 Plus/ 6/ 6S/ 6 Plus/ 6S Plus/ 5S/ SE refreshes it. It solves a number of iPhone issues including iMessage not delivered blocked. To force restart your iPhone, follow the procedure below. Sometimes iMessages not saying delivered may be due to software issues like a missing or corrupted system file resulting from an unsuccessful jailbreak, software updates, bugs or malware. If this is the case, Tenorshare ReiBoot can easily fix all iOS problems by repairing the operating system by using the highly efficient "Fix All iOS Stuck" feature. Tenorshare ReiBoot allows users to fix iPhone stuck at Apple logo, recovery mode, black screen, frozen screen and over 50 software issues. To use Tenorshare ReiBoot, follow the procedure below. Step 1: Download, install and run Tenorshare ReiBoot for Mac or PC. Step 3: Click Fix All iOS Stuck then click Fix Now. Step 4: Download and select a matching firmware for your iOS device by clicking Browse to save it on your PC then click Download. Step 5: Tenorshare ReiBoot will start repairing your iPhone. When complete, the iMessage app will work as it should. If iMessage not showing delivered, or has any other issue, this article explains the different method of fixing it. In the event that you lose any important messages on iMessages, we recommend using Tenorshare UltData to recover them. Tenorshare UltData enables users to preview and selectively recover iMessage messages, with or without iTunes or iCloud backup files.